The Presidential candidate of the Peoples Democratic Party (PDP) in next month’s election, Alhaji Atiku Abubakar, has made it clear that he is not in support of the open grazing prohibition and ranches establishment law in some states of the federation. 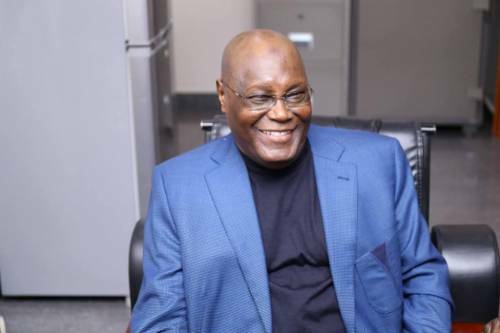 Atiku, who was answering questions, Wednesday, on a talkshow “The Candidates” said the law was unconstitutional and infringes on the rights of Fulani herdsmen to freedom of movement and residence across the country. “We have to look at the constitutionality of those laws. I’m not sure whether they come with the provisions of our constitution which guarantees freedom of movement, the right to reside wherever you want in the country and so on, and so forth. So we have to look at that. “The constitution does not restrict the movement of people in Nigeria, so any law that restrict people from moving freely and doing their legitimate business can’t be upheld,” he said. The former vice-president said rather than ban the free movement of cattle, feeding lots should be established across the country, an intervention which he admitted would take a long time to achieve. “I believe that the best solution to the farmers/herders clashes is to try and enlighten our herdsmen on the use of feeding lots. These feeding lots can conveniently be established all over the country. “It is an old problem, dating back to the days of the prophets. America faced the same problem. Eventually, the solution is the establishment of feeding lots all over the country,” he concluded.